This Australian didgeridoo is made from a termite hollowed Eucalyptus tree from the Northern Territory, Australia. This tree has been hollowed out by termites so it is natural and unique. It has also been worked on the inside to improve the sound, so you can be assured, it plays and sounds great! Outside has satined with Mahogany color. Have a listen to the sound sample so you see for yourself. It has also been fitted with an Australian beeswax mouthpiece. This ensures that it is comfortable and easy to play. You can also mould the size of the mouthpiece yourself so best suit. This is a full-sized didgeridoo making it ideal to play that deeper, fuller sound. 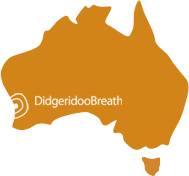 It's a good didgeridoo for learners, kids and adults alike. Everybody will be able to have fun playing on this instrument. 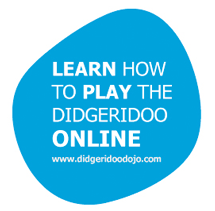 It's an excellent all round didgeridoo, suitable to learn on, for a gift, or for the travelling didgeridoo player.